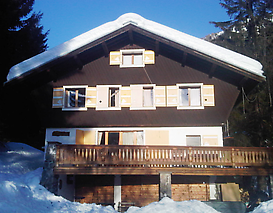 A very spacious detached chalet with excellent living space, and ease of access to the Chamonix Valley’s biggest mountain - Les Grand Montets. 250m2. The chalet has a newly-renovated & fully equipped kitchen and an open living/kitchen area on ground floor and large lounge room on middle floor both with log fires. The later is equipped with video and DVD players and Ipod docking. There is a large sun terrace with spectacular views of Argentiere glacier and Mont Blanc range. There is also an extensive basement with table tennis and table football, ski and boot storage. 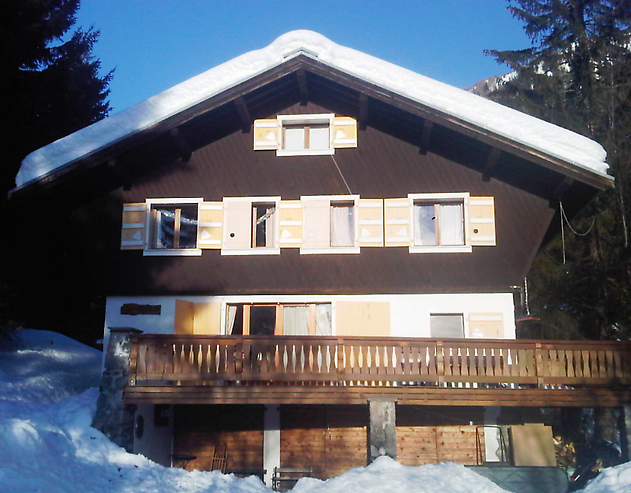 The Chalet is ideally located in the quiet old village of Argentiere, close to shops, mountain, restaurants and bars. Intermediate / expert skiers can take cross-country ski tracks to access the Grand Montets lifts and then ski back home or you can do beginner skiing at Les Chosalets or opt for easy family terrain at Le Tour – later two are 5mins in car. Close enough to come home for lunch and return to the slopes. Then cook together in your chalet and enjoy warmth of open fires or head to local restaurants for savoyard specialities or perhaps pizza at a local bar. Rates are charged in EUROS and include local taxes including tourist tax. Enjoy stunning views of the Mont Blanc range and Argentiere glacier in this spacious and homely self-catered accommodation. Chalet Kilimanjaro is ideally suited for family ski holidays with a range of bedrooms from bunks to doubles sleeping up to 16 people, as well as a large living room with log fire, TV and DVD for evening entertainment.